Ships today if you order in the next 2 hours 38 minutes. 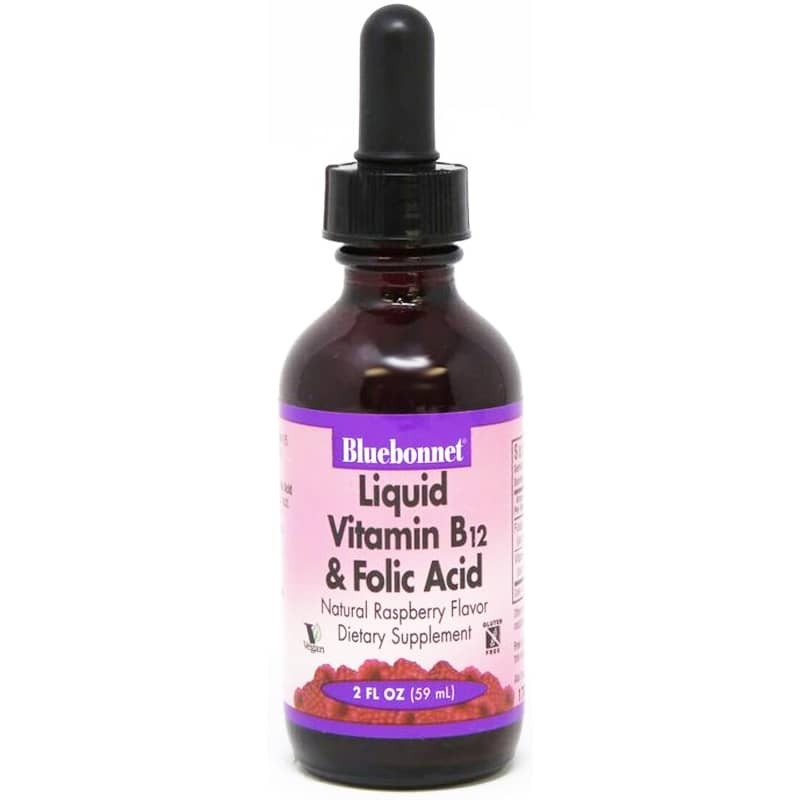 Bluebonnet Liquid Vitamin B12 & Folic Acid provides fast-acting Vitamin B12 and folic acid in a delicious, natural raspberry flavor. Vitamin B12 and Folic Acid convert carbohydrates into energy, and are vital in supporting the metabolism of fats and protein*. 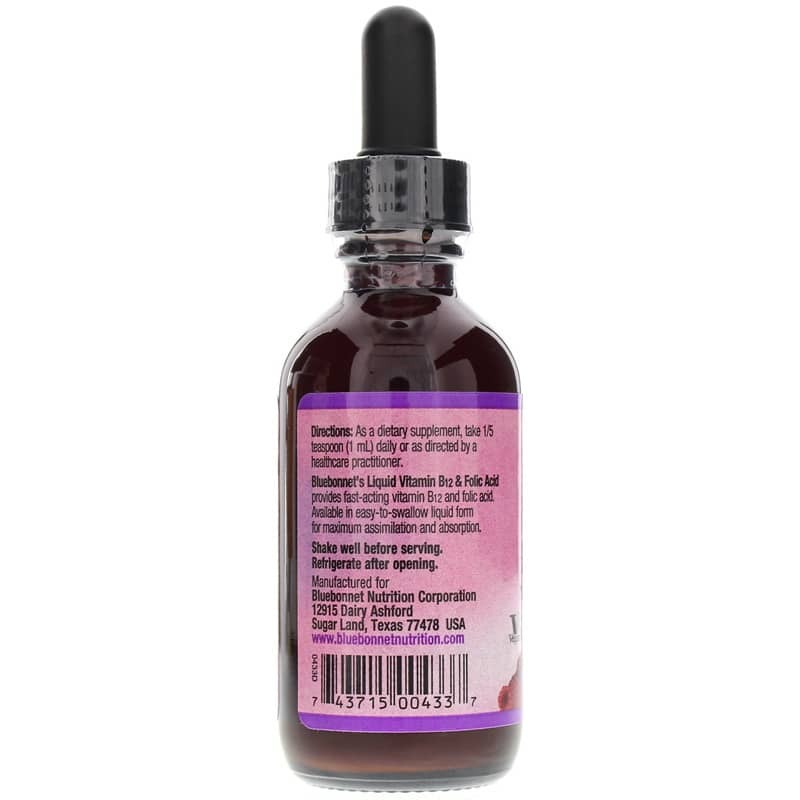 They play an important role in the maintenance of muscle tone in the GI tract, the functioning of the nervous system, and the integrity of skin, hair, and the liver*. Contains NO: milk, egg, fish, crustacean shellfish, tree nuts, peanuts, wheat, soybeans, yeast, gluten, barley and rice. 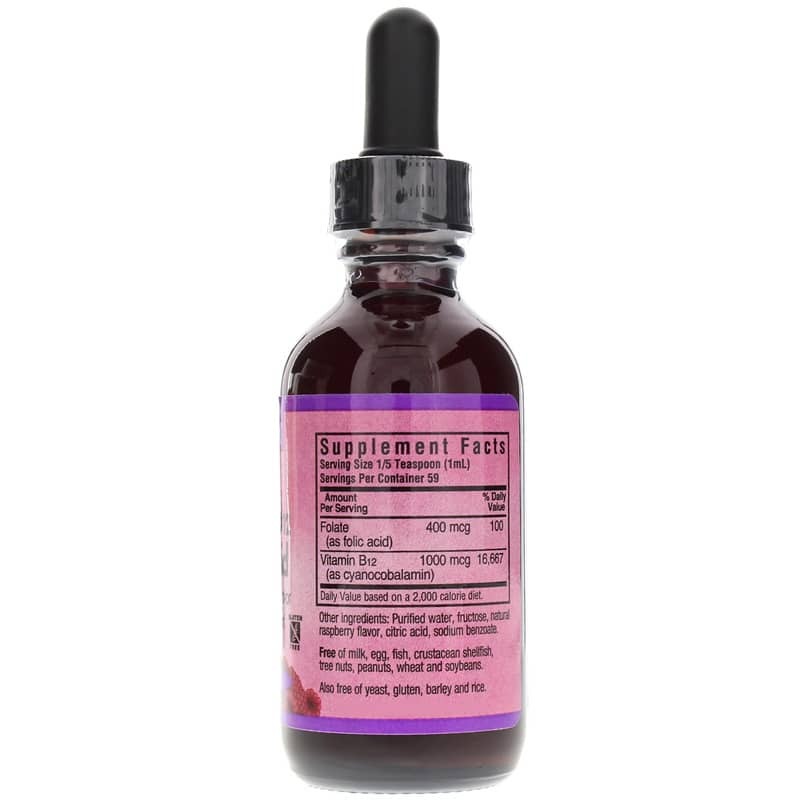 Adults: As a dietary supplement, take 1/5 teaspoon (1ml) daily or as recommended by a healthcare professional. Shake well before using. Refrigerate after opening.